Fragrances.bg is one of the largest and most popular online stores for perfumes in Bulgaria. It is owned by “Venera Cosmetics” – a modern company for distributing genuine branded perfumes. The website offers a wide range of products that are 100% original, with guaranteed quality and origin. The company found a trusted and responsible partner in Tendrik for creating their online store as well as maintaining their social media efforts. Fragrances.bg is based on one of the most popular e-commerce platforms – OpenCart. We chose it for its good modular structure, convenient and intuitive user interface, easy navigation and wide range of additional functionalities. Thanks to OpenCart, a business can create a number of personalized promotions such as fixed price or a price discount for a group of clients (number of products in the shopping cart, quantity of past orders and others). Responsive design – it is accessible through all mobile and desktop devices. The online store also has a free chat client (Zopim Chat) where users can send queries to the administrator in real time. 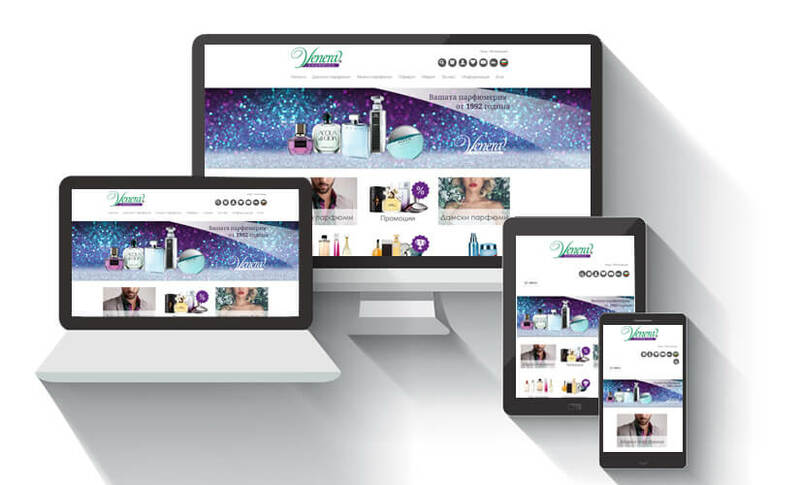 Apart from the online store, Tendrik developed a blog for “Venera Cosmetics”. We are also responsible for the company’s overall digital marketing strategy and its execution – copywriting and content marketing, social media marketing, video marketing, SEO, e-mail marketing. We continue to maintain the store as well as dealing entirely with its web administration.